Prime location! 6 bedrooms, 6 baths, 3 kitchens. Exceptional design and layout. 4,900 sq. ft. lot, 3,426 sq. ft. finished area. This home has 2 master bedrooms with decks. 10' high ceiling on main with a gourmet kitchen featuring high end appliances (Subzero fridge...) and furnishings. Wok kitchen. From family room, you can walk out to the patio & garden, this creates a large entertaining space. Lower level has a 2 bedroom legal suite and a media room with a wet bar plus sauna for all your relaxation need. Bonus 3 car garage. 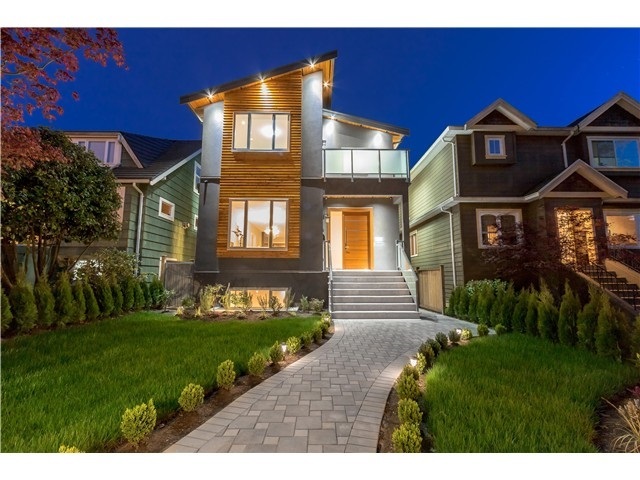 Walk to Cambie shops, QE Park, Skytrain and amenities. All measurements are approximate and to be verified if important.